If you've toured through the Holley Multi-Point and Stealth Ram Fuel Injection Kit categories before coming here, you would get the impression that Holley saved all their love for the Bow Tie crowd. Fortunately, that's not true! Sure, you can't buy a Holley Multi-Point Fuel Injection kit for your Chrysler LA V8 or for your Ford Cleveland Modified, but there is no reason you can't have Holley Multi-Point Fuel Injection! If you have a single plane intake manifold for virtually any V8 engine, and if that manifold is made to support either a Holley 4150 or Holley 4500 Carburetor, Holley offers these fantastic EFI Retrofit Kits that allow you to turn your engine into a multi-point fuel injected beast. 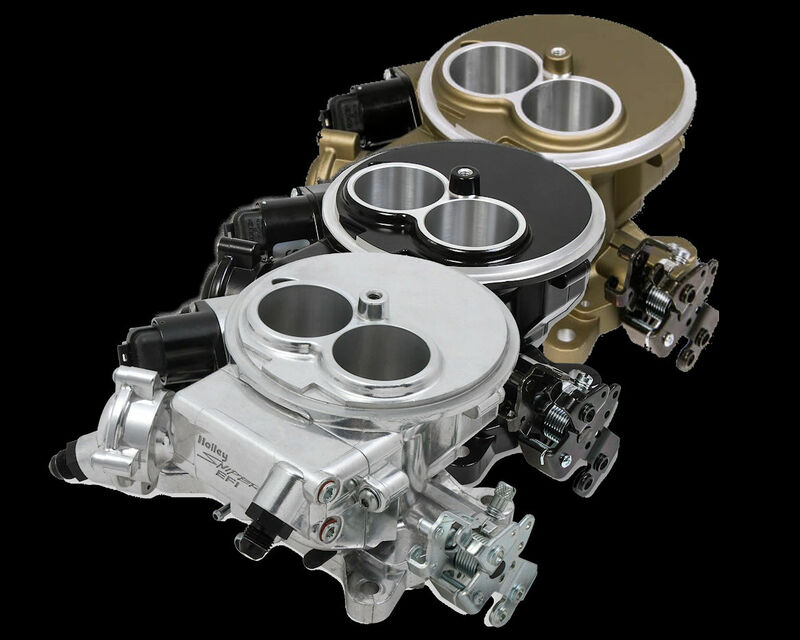 If you have a V8 intake manifold set up to accept another carburetor, one of these Retrofit Kits can be used if an adapter can be sourced for the 4150 or 4500 throttle body. 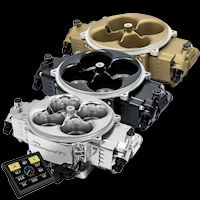 The Holley EFI Retrofit Kits do require considerably advanced skills to assemble and install. Machining for the fuel injector bungs and fuel rails requires the use of a Bridgeport mill. The injector bungs ideally should be TIG-welded to the intake manifold. They can also successfully be epoxied, but welding will guarantee good durability. The fuel rails will also require tapping and/or machining depending upon the fittings chosen. Hold-downs for the fuel rails will also have to be fabricated. Most of these skills can be found at a competent machine shop or automotive performance mechanic. The most difficult to source components are included in the kit. 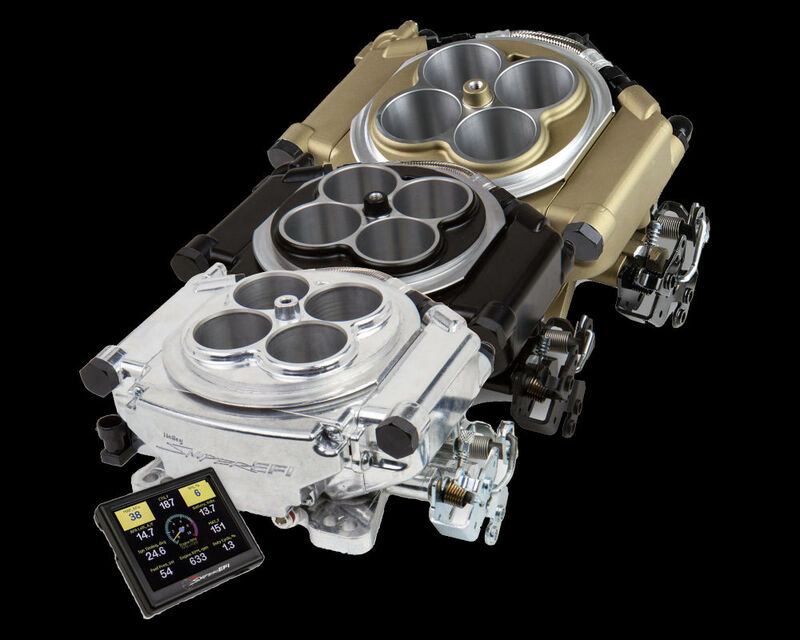 This allows the buyer to source the other components, which are available here on EFISystemPro.Com, giving maximum flexibility in building the EFI package that meets the precise needs of the engine and performance goals. The fuel pump and fuel injectors should be sized for the objective horsepower, and the simple calculations required for sizing are included in the installation manual. The throttle linkage will likely need to be modified to convert it from the existing carburetor setup to the throttle body unit included with the kit. Other expendable-type items (fuel filters, plumbing, and various fasteners and hardware) will be required to complete the installation. If you have a carbureted engine, want to install electronic fuel injection, but are looking for some..